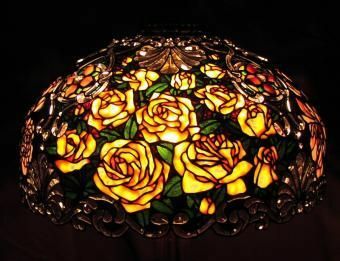 We have been working on adding bevels to our lamps and this 28" Rose & Peony is a example of one. The petals of the flowers are each color phased to again to add depth. The high quality bevels add another demension to the lamp.